I’ve written here at least once about the problems associated with breed stereotyping certain dog breeds, and the often completely incorrect assumptions the public or the media can make about “bully breeds” such as Pitbulls or Rottweilers. But even when sweeping generalizations don’t lead to breed specific legislation, I think it’s fair to say everyone harbours different kinds of bias with respect to dogs. Sure, we all know dogs vary across the spectrum for size, energy and age, and we’ve all met a surprisingly calm lab or a crazy excitable Great Dane, but assumptions are still there. Whether it be a fear of Schnauzers because one bit you once when you were little, or an affinity for Golden Retrievers because your family had one when you were younger, certain preferences and experiences can shape our decision making – whether we acknowledge them or not. 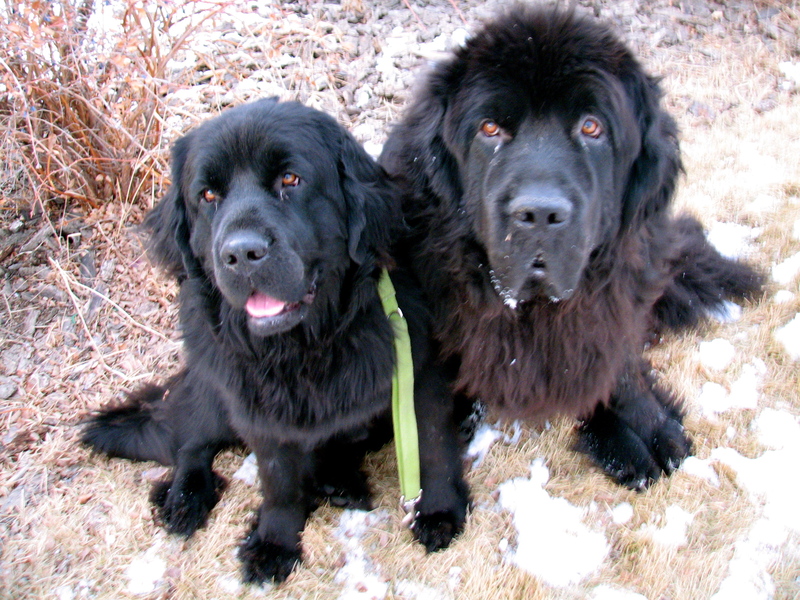 For example – and you may want to take a seat, since this may surprise you – I have a pro-large-breed bias. Shocking, right? But the other side of that coin is actually an anti-small-breed bias. There. I said it. 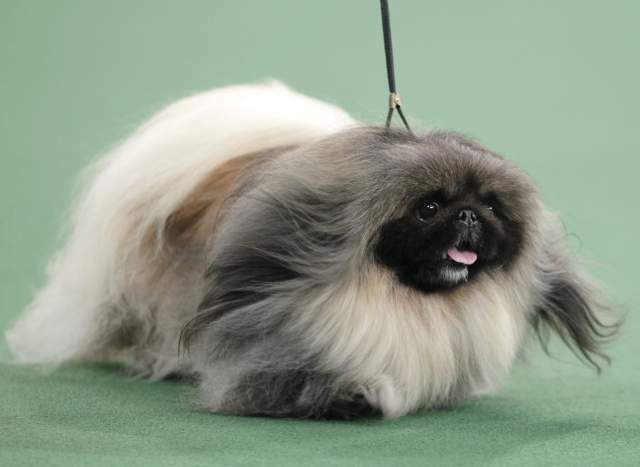 I heard Malachy, the Pekingese, won Westminster last week, and I wondered when cats became permitted to enter the show. Nothing against cats, it’s just that these concepts don’t necessarily make it into my ‘bucket’ of how I’ve come to define “dog”. At least not lately, though should I encounter a Maltese that is actually an adept and trained mouser, I would be super impressed. And the fact that some hotels have a 20lb limit on the pet policy stuck me as ludicrous (still does, for the record). But then, one fine afternoon not too long ago, I caught myself mid-thought and very surprised. I was looking at a dog named Barkley thinking “gee, isn’t he cute”, as I often do, but then I realised something: I was looking at a SMALL DOG. A small dog that was cute and endearing? I even wanted to pet him. What was wrong with me? Barkley couldn’t have weighed more than 35 pounds and he was extremely well-mannered. He heeled nicely, paid attention to his owners, and responded to their cues. He didn’t bark – not a peep – and wouldn’t lunge like a maniac at the sight of an approaching person or another dog. I don’t necessarily have an anti-small-dog bias, but I certainly have an anti-bad-dog bias. And not “bad” as in immoral, but “bad” as in high strung, noisy, untrained, and uncontrollable. And whose fault is in that a dog may be bad? Well… infrequently it’s the dog’s fault. Lookin’ at you, owners. 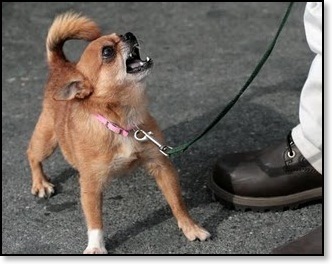 Should I think all small dogs are bad without exception, then we’re in the realm of unfounded stereotypes, but too often my experience with smaller dogs involves barking and lunging at the end of a flexi-leash. And after enough repeat experiences like that, the brain starts to recognise a pattern. Thinking about it more, my opinion about dogs of any size is strongly moulded by how they behave. Sure, bigger breeds may receive some initial benefit of the doubt, but even after they’ve exhibited disappointing behaviours, rose coloured glasses come off and opinions change. And though maybe those judgements should really be reserved for the dog’s owner (owners currently working on resolving issues with their dogs notwithstanding and deserving of my complete and total sympathy), I do suppose it’s a more fair assessment; we do that with the people we meet, too, after all. Jon Hamm may usually set hearts a-flutter, but upon the revelation of his douchey nature, his Bridesmaids character Ted was just a bit less attractive. ...Right? I can’t be the only one with these kinds of biases, so ‘fess up. And knowing I am influenced by these kinds of things (and can’t be the only one) just goes to show how important training and being an ambassador for all dogs really is. You can judge a book by its contents. This why I call the little dogs Bichon Shitzu-Bichon Shitheads. I have been bitten far more times by little foo foo dogs then any great Dane, rotti or pit bull, and once by a golden retriever. I have found through working at a vet clinic that people tend to get little dogs as they are cute, don’t need much excercise (wrong! They need double what mine gets!) or even that aggression is more tolerable since they are small so there bites inflict less damage then a rotti would. 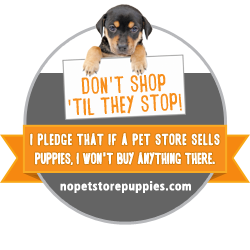 The problem lies with people who impulsively get a dog at that local pet store or on kijiji, without doing proper research on that dog and don’t hbe the time or want to put in the effort to train it. Small dogs are easy and low maintenance right? Oh and they always have rotten teeth by age two due to garbage pet food like Ceasar’s ‘made for small dogs’ and people will either leave the dog with rotting teeth or shell out thousands of dollars in dental care. It’s a shame, but the key thing to emphasize with people is do your research, invest the time in excercise and training and feed your dog the way they were meant to be fed! I definitely have a tendency to think… less, i guess… of small dogs. It’s definitely about how they act, and how their owners act around them, though. My rottweiler-owning neighbour (sweetest dog) doesn’t let people with small dogs approach him at all anymore. He says, “My dog isn’t friendly”, not because his dog isn’t, but because most run-ins with small dogs have ended with his dog getting nipped or spooked by aggressive growling and barking. As he put it, “Which dog is going to get blamed for a fight? 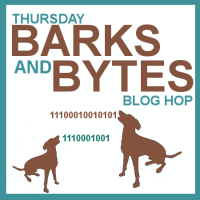 The well-trained rottweiler or the chihuahua who bit through the rottweiler’s lip?” I’ve definitely met some great small dogs though – the dogs that Gwynn plays so well with because they’re rough-and-tumble, full of zoomery and don’t get aggressive or defensive. I have a badly-behaved medium sized dog. Now what? I don’t think I have a size bias. I don’t think anyone enjoys dogs that are aggressive or bark too much (and mine does too much of that, too). I invite you to come to my dog park and meet the Italian greyhounds. They weigh about 8 lbs. each and have more charm than a leprechaun. I defy you to dislike them based on size. This post actually made me laugh out loud. My husband calls small dogs “Get a Cat Dogs” and says he won’t adopt anything smaller than Meadow (she’s 44 pounds). I’m a medium to large to dog person myself, although I have met some small dogs that I think are the greatest. But reading your post, I realized that the small ones I’ve met that I actually liked were ones from training classes, (an amazing Cocker and a sweet Cavalier come immediately to mind), and both were really well behaved. Hmmmm…. me thinks you’re on to something. I do tend to like the bigger dogs for myself but I do like the little ones for fostering. Then again I didn’t let my 20lb foster get away with things that my 110lb always dog wouldn’t. Little or big they should be trained or at least the effort is being put into working on it. Same rules no matter the size. I was never, ever a lover of small dogs either. It might be because I was just never around them until I was older. They didn’t seem like real dogs to me. 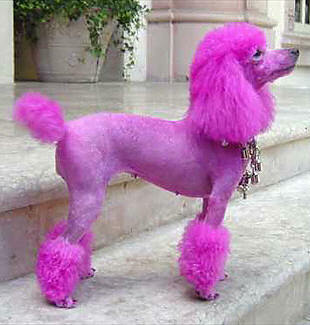 However, after I spent a year looking after my MIL’s little bichon-shih tsu mix, I changed my mind. Nicky may have been wee but he was full of joy and laughter, just like any other dog. Every time I walked him we would attract neighbourhood children. He adored the attention. Because of his small size, no one crossed the street to avoid him or glared at me when he barked. That doesn’t mean I’m going to rush out and adopt a Pekingese (shudder) but I do give them a lot more respect these days. You and all those corny children’s books are right. When it comes to dogs, it’s the inside that counts. I obviously, have always been drawn to large dogs. I don’t not like small dogs, they just aren’t for me right now. I love a dog that I can put my arms around and hug, and I guess I like the security of a big dog, if that makes sense. Now don’t get me wrong, sometimes when we get in some of the smaller breeds at work I have been known to steal them away from their owners for a bit and tell them that I am not giving them back! I’m a well behaved, friendly, but a little Mischievous Medium sized fluffy Dog who is often mistaken for a mop or when I was a little younger a Teddy Bear! But I guess cos I weigh 50lbs I wouldn’t be allowed in some hotels? Huh? I love everyone and all Dogs, but I have noticed not all Dogs like me (afraid to say, it’s often been the little ones who’ve been a little off when I’ve met them) – my Mum is really pleased that I just ignore them and walk away cos I’m not getting into any fights, no way!! I think its great that us Dogs come in all shapes and sizes, I just think it’s important like has been said above that our families do the proper research to make sure we’re the right match BEFORE we join the family! it’s so true that dogs of all sizes need to be treated like dogs and trained. i know some folks who have very small dogs and do very little training with them–then again, i know some folks who have medium-sized dogs and do very little training with them. I think it doesn’t matter what size the dog is, if it’s well trained, then it shouldn’t matter. I tend to gravitate to medium-sized dogs–Sage is 44 pounds. 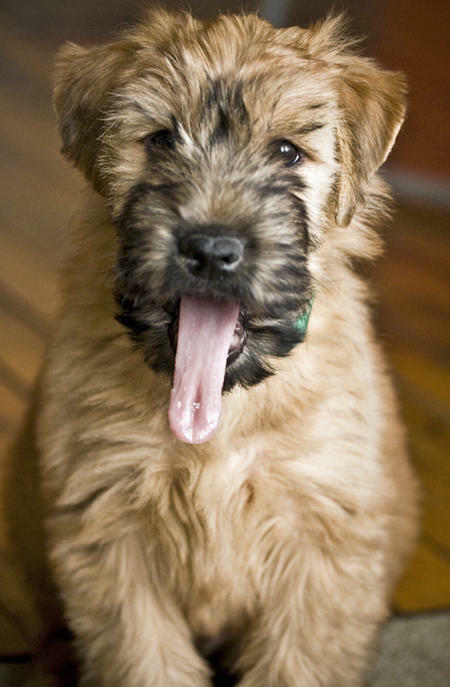 We had a small terrier mix at one point that I referred to as a “yippy dog”. He was and it was probably because I didn’t know much about dog training at that point. I just tagged you. 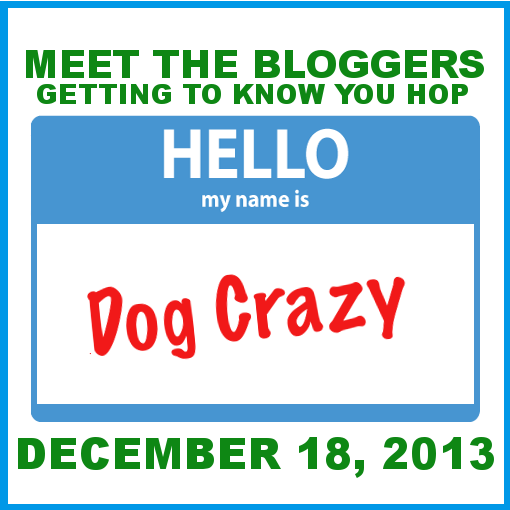 Check my blog for questions–if you’ve already been tagged, just post a link to your previous post. Have fun! Oh no – darn, I was just dropping by again to tell you I tagged you. Looks like Sage beat me to it. Oops. It is interesting how experience with a poorly behaved dog can subtly influence how you view an entire breed or size of pup. I’m sure I’ve fallen victim to it from time to time as well. 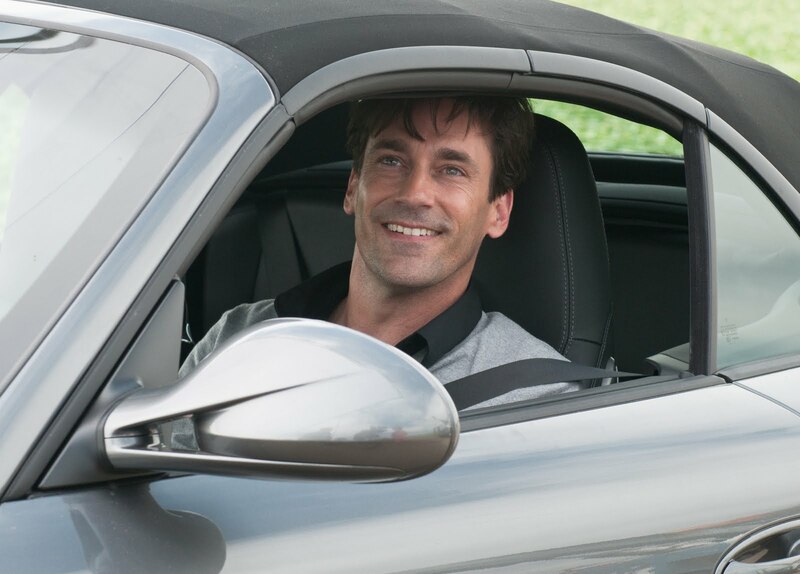 Also, your Jon Hamm example is perfect (and I like any excuse to look at Jon Hamm).